Dead Can Dance return with a new two song album devoted entirely to Dionysus, the god of fertility and wine due out on November 2nd, 2018 through PIAS Recordings. While only two songs (or ‘acts’ in this case), it is split up into 7 movements that include an array of folk instrumentation all played by Brendan Perry, chanting, bird calls and even beehives, each presenting a different take on the Dionysus myth. 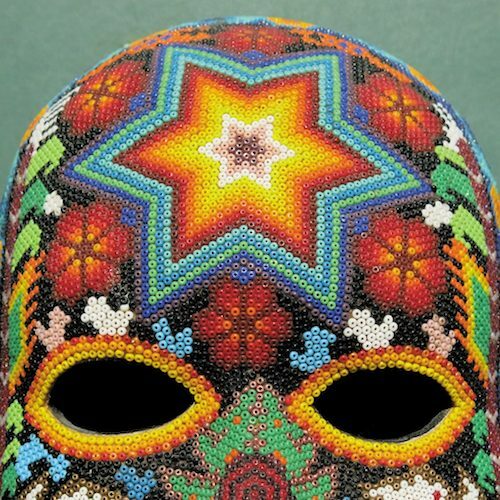 The cover of the album is a photo of a beautiful beaded skull mask that was made by the Huichol of the Sierra Madre Mountains in Mexico, which is a bit of a departure from previous albums, in that, most of their albums tend to be darker color schemes, though it is reminiscent in some ways to their debut album and the 1996 Spiritchaser album. My initial reaction of the album, as with all Dead Can Dance, Brendan Perry and Lisa Gerrard albums is always of excitement, especially for the Dead Can Dance albums in particular. Independently, Brendan Perry and Lisa Gerrard are far more talented and gifted beyond the description of what any mere words could ever describe. Together, the union of these two artists creates something truly unique and magical that has spanned the decades of their career while taking you on a journey through the centuries in their music. This album is no different, capturing all the essences of their previous works while creating fresh new musical landscapes for the listener to explore. 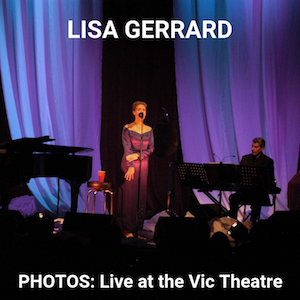 After many listens though of the roughly 36 minute album, I (personally) felt like this was more of an EP rather than any full length effort and unfortunately, on top of that, Lisa Gerrard only sings on two movements on the album (‘The Mountain’ and ‘Psychopomp’) leaving me missing more of her influences in the works. Her ethereal vocals are synonymous and unmistakably what has resonated most with fans and is unfortunately significantly diminished on this album. In the light of this, I would have appreciated the album perhaps a bit more if this were released as a Brendan Perry solo album with Lisa Gerrard making a guest appearance on it. One thing that did not work for me was a lot of the atmospheric sounds interspersed throughout the album and in between movements. I would usually be the first to suggest such an inclusion for some artists, but in this case, it felt a bit out of place on this album. Despite those three minor points, the album still very much holds true to what Brendan Perry originally envisioned for Dead Can Dance. It is highly textured with a vast array of vocalizations, instrumentation and keeps to the theme of Dionysus and his cult throughout it. Highlights of the album are Act II’s ‘The Invocation’ with ‘The Mountain’ coming in a close second. As compared to Dead Can Dance’s other works, it might best match the feel and sound of Spiritchaser, but I feel that for as good as it is, it unfortunately falls a bit short, especially if compared against 2012’s Anastasis album which had the best blend of their individual styles overall. 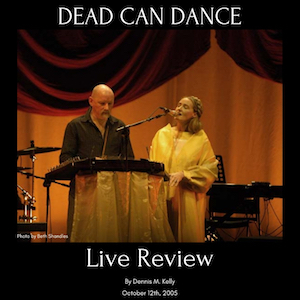 For longtime fans who have experienced all the different musical ranges of the band over the years, it won’t disappoint and new fans will experience a small sampling of what Dead Can Dance does best that I hope will inspire them to dig deeper into Dead Can Dance’s catalog to hear more of their masterpiece works. 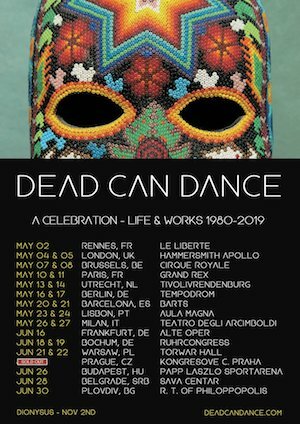 In closing, despite my (admitted) nitpicking, I still am thrilled that there is yet another new Dead Can Dance album for all of us to experience and a European tour to follow. 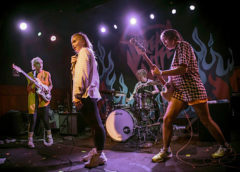 Hopefully they will add more dates that will include North America at some point too. Since their inception in Melbourne in 1981, Dead Can Dance have been informed by folk traditions from all over Europe, not just solely in terms of instrumentation, but also by secular, religious and spiritual practices. 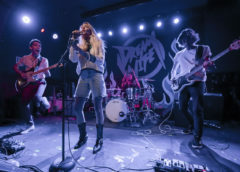 The story to their forthcoming album Dionysus took shape as Brendan Perry became fascinated by long established spring and harvest festivals that had their origins in Dionysian religious practices throughout Europe. 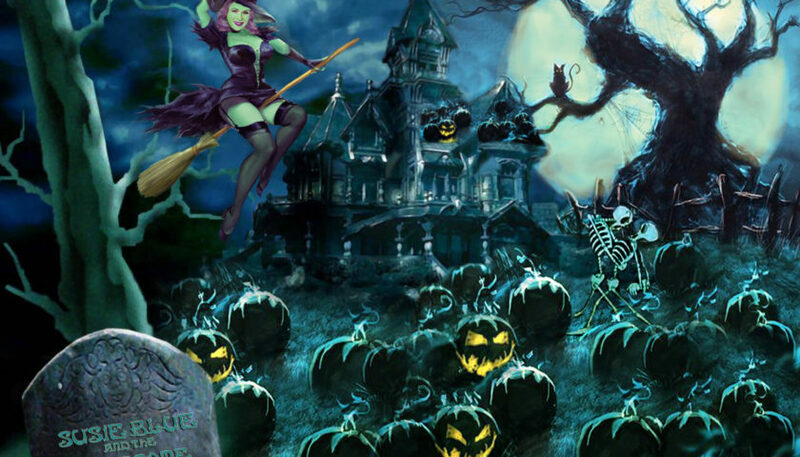 The presence of the religion was suppressed during the ideological control of Christianity and Islam since the Roman Empire, and so the influence that Dionysus still had on these festivals would continue to manifest itself albeit in a more censored form. Dead Can Dance’s latest album brings to the fore the rites and rituals that today continue to be informed by the Greek god, with the album’s seven movements representing different facets of the Dionysus myth and his cult. The musical form of Dionysus is that of an oratorio, which has informed spiritual and secular pieces of music as far back as the early 16th century. ACT I – Sea Borne announces Dionysus’ arrival from the east by ship. This movement is crucial to understanding Dionysus as an outsider god – ‘the god that comes’ – central to Ancient Greek city religions that affiliate him with the protection of those who do not belong to conventional society, and anything which escapes human reason. ACT I – Liberator of Minds, with Dionysus being known as ‘he who lends men’s minds wings’, the album’s second movement conveys the use of hallucinogens and mind-expanding drugs that are associated with him as well as breaking free from the constraints of social norms within society. ACT I – Dance of the Bacchantes, invokes the rite that Dionysus’ female followers took part in, abandoning their domestic duties for trance-like processions and dances. ACT II – The Mountain, the first movement of the album’s second Act, the listener will find themselves visiting Mount Nysa. This mountain was Dionysus’ place of birth, where he was raised by the centaur Chiron, from whom he learned chants and dances together with Bacchic rites and initiations. ACT II – The Invocation represents the chorus who summon the god to participate in the harvest ceremony which also refers to his pre-eminence in the creation and birth of Greek theatre and tragedy. ACT II – The Forest, the call to abandon worldly and material pursuits and return to a primeval enlightened state of being as in the Hindu tradition of Vanaprastha “departure to the forest” which is seen as the final stage in human spiritual development. ACT II – Psychopomp, the final movement sees Dionysus in his role as a guide to the afterlife, where he escorted dead souls to Hades. With the sway that Dionysus’ story still has on contemporary paganism in Europe, the voices on this album see Perry imagine a small community or village with people in communion with each other during a time of celebration or ritual. Singing at times via chanting and call and response, the language that these people sing in is fictional, not representing one country or group in particular. Instead, the solo and chorus voices become a means to convey emotion beyond the boundaries of language itself. As with many previous Dead Can Dance albums, there is no libretto for the voices. Perry’s radical revisal of his artistic space led him to take inspiration from the natural environment around him, especially animal calls and natural sounds which Perry mimics on this new album using an array of folk instruments from across the world. Across the two years in which he made Dionysus, Perry gathered together a world-spanning array of percussion including the Daf (Iranian frame drum) and the Fujara (Slovakian shepherds flute). As with the rest of the Dead Can Dance catalogue, rhythms inspired by world traditions play a key role, with tracks seeming less like songs and more like fragments of a cohesive whole. 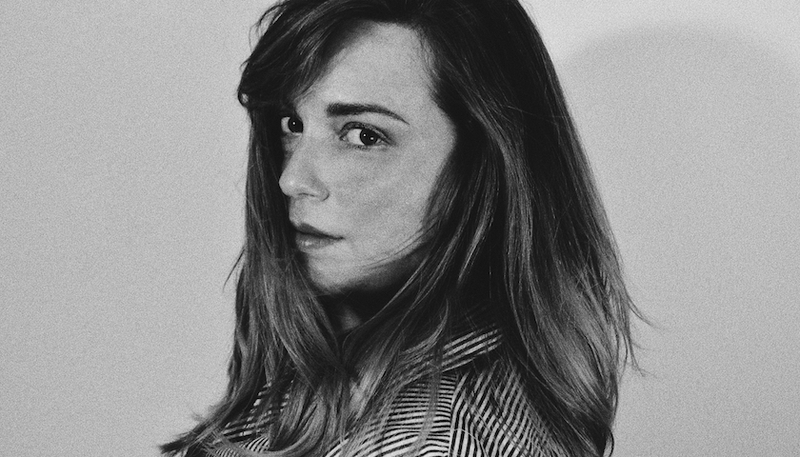 Perry blends all of the album’s elements together using field recordings and chanting, including a goatherd in Switzerland, beehive’s from New Zealand, and bird calls from Mexico and Brazil. 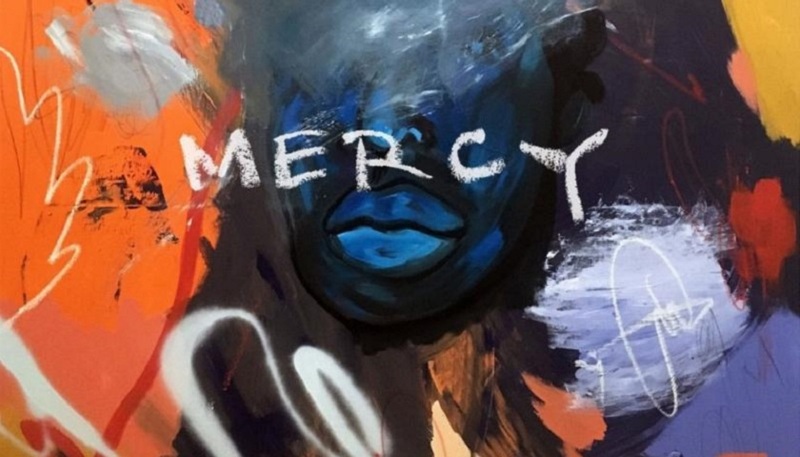 Perry uses this not only to invoke the album’s atmosphere and symbolic references but also to demonstrate how music can be found everywhere. On Dionysus, sounds blend into one another to create an esoteric, atmospheric, at times magical realist experience for the listener. 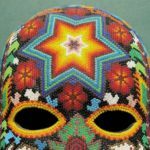 The album’s story may be prominently inspired by that of Dionysus, but its cover detail came from a mask made by the Huichol of the Sierra Madre Mountains in Mexico – famous for their yarn paintings and objects meticulously decorated with beadwork – who use peyote as a sacred rite and ritual for the purposes of healing and mind expansion. At its core, it’s this which is key to understanding the sentiment of Dead Can Dance’s latest opus – a celebration not just of humanity but of humanity’s working alongside nature with respect and appreciation.